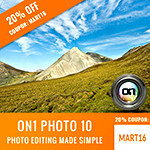 Sacred Ground for Photographers, Videographers & Audio Enthusiasts! 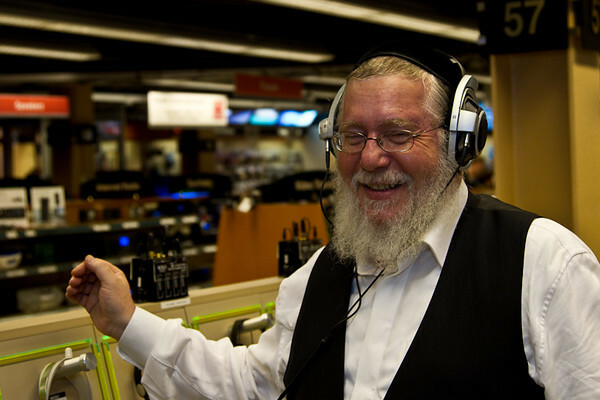 Earlier this month I had the pleasure of visiting B&H at their flagship superstore in New York City thanks to my friend Yechiel Orgel. You can view a nice little video here that gives you a peek into the store, and what I saw, but I thought I’d share more than you might see in the video. Hershel Waldner REALLY cares about your B&H shopping experience! 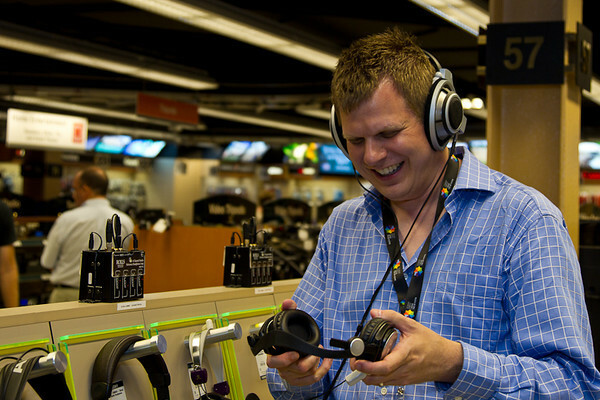 When you go to B&H you’ll notice what I did when i was there – this place is clean and well organized with every gadget you’d ever want to play with! 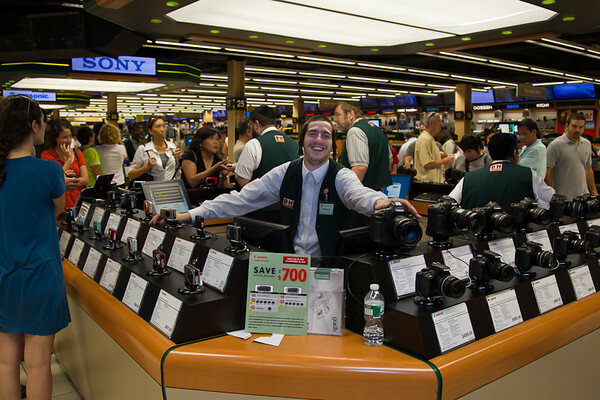 However, I had the luxury of getting the grand tour from Yechiel and Hershel Waldner, the Marketing Supervisor of B&H. Hershel is a kind man who you can immediately tell really cares about every B&H customer. in my hand versus $1200 headphones on my ears! More importantly Hershel and B&H care about the experience every customer has while they are at B&H, so he’s quick to point out all of the details that they take care of to make sure your shopping experience is as pleasant as possible. Little things like making sure everything is working, demos of as many products as possible are out on the floor for you to enjoy, clutter and inventory are hidden out of sight, and the staff is there to both educate you and answer your questions – not harass you with high pressure sales tactics! This is why B&H staff is not on a commission, so they are free to sell you a cheaper product and I can testify that I saw that happen first hand while in the store on my trip! Oh that’s right, they sell video gear too huh? Uhh, yeah! 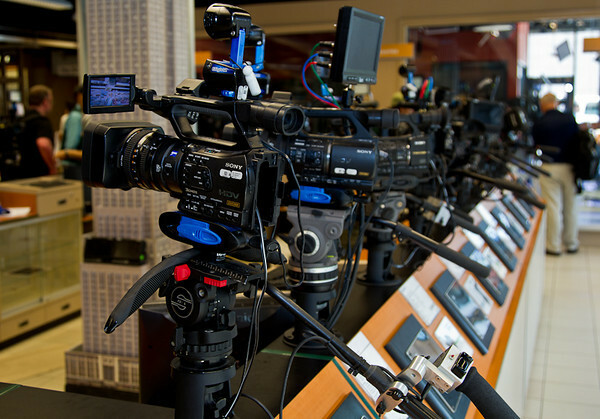 They even have used gear section (a small portion shown below) that rivals most retail camera stores! 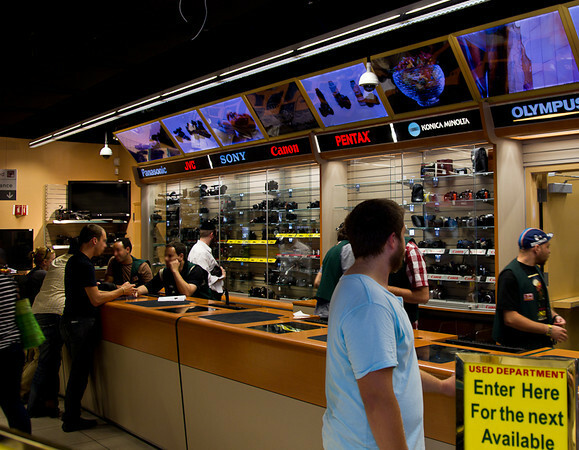 The Used Store is bigger than most camera stores! Did you know they sell Apple products? I was surprised to see how many Apple products B&H carries – in fact, they had more stuff on display in their store than I’ve seen in some Apple stores! 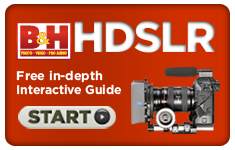 B&H offers handy online guides like the one linked above to help educate their users! Have you ever heard your parents or grandparents talk about the good old days when customer service was a store’s first priority? Well at B&H it’s like a flashback to those days because everyone I met in the retail store was very courteous and friendly. During my tour I got to see and hear first hand beginners ask some really basic questions, and the staff was great at responding in ways that the customers could understand. 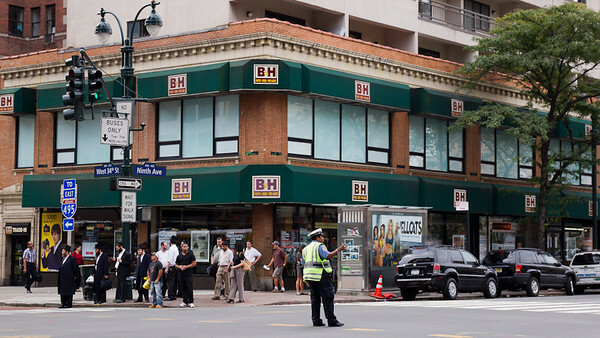 Despite all the stores in New York, people still line up to get into B&H as soon as it opens! Great service and a huge selection have made B&H famous since 1973 and it’s one of the many reasons why I bought my first DSLR from them. It’s their success that also helps them have some very competitive prices and a no-hassle return policy that keeps me coming back to B&H. 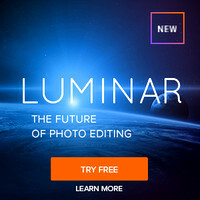 I’m proud to partner up with B&H and include links to their site for many of my articles because I know they are a company you can trust and they offer a fair price. I’m also happy to disclose that I get a commission when you purchase from B&H using my links, so I appreciate your support by ordering through this site when you are ready to make your purchases. My partnership with B&H and other partners has helped sustain this blog and helped it to grow so that I can bring you the content you’ve come to appreciate on this site. If you are ever in New York City, I highly encourage you to check out their store. It’s a great experience and a lot of fun, so make sure you give yourself several hours and send the family off to a museum or something! Tip: Leave your credit card with a friend or else you might max it out while you are here – they’ve got some REALLY cool stuff! Thank you. We're glad you enjoyed yourself so thoroughly and we're flattered you took the time to post this. It is very gratifying. I wonder if Hershel Waldner's bosses know how great he really is. I have made several purchases from B&H and he is THE MAN. First of all, he has a personality that can't be beat. Secondly, his knowledge of product and his absolute total commitment to the customer is unwavering. If I could I'd buy everything -not just what B&H sells- from Hershel, I would. Mr. & Mrs. BH: Don't EVER let this man go! Thank you so much for the wonderful reference & link to my husband's blog. 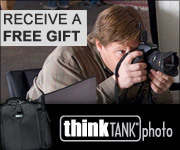 I have probably spent upwards of $50K at B&H beginning in 1992 when I majored in photography at RIT. I have never had a problem and their customer service is top notch. 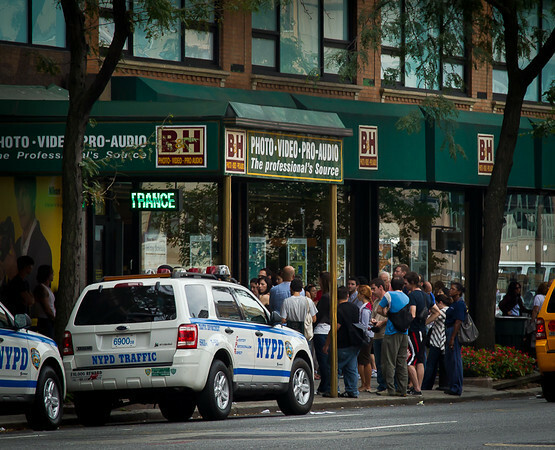 On behalf of all of us at B&H Photo, please accept our warm thanks and deep gratitude for your patronage. We look forward to earning your trust and continued business for many years to come. Oh my (blush)! Thank you so much for your kind words. I hope you don't mind if I share your compliment with my many worthy colleagues and co-workers here at B&H Photo who strive daily to keep B&H Photo's sterling reputation shining bright.